If left alone in an ice cream parlor, would your sister pig out on Rocky Road, Strawberry Cheesecake or Mint Chocolate Chip? If your dad won a million dollars would he take travel to outer space, go on a jungle safari or buy a new bathing suit and relax on a tropical island? The Just Like Mom and Dad Game is a ‘game show in your pocket’ that allows family members to challenge each other in hilarious and highly personal ways. 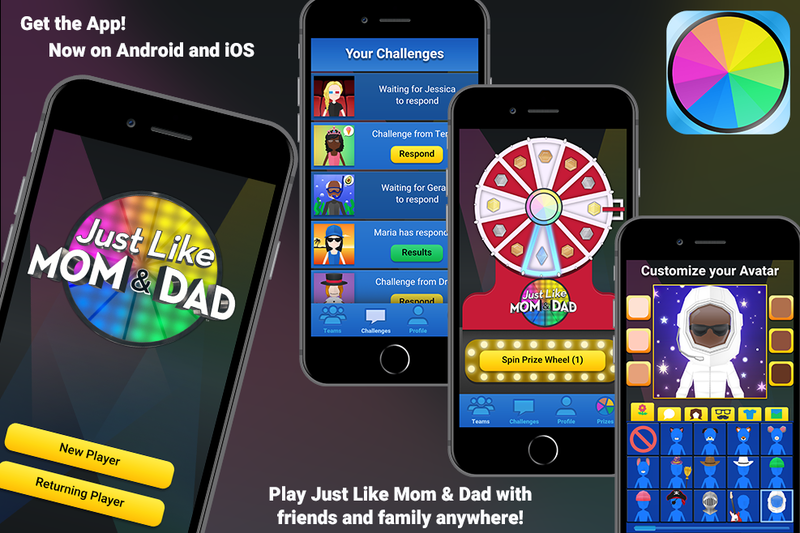 Produced in-house by marblemedia Interactive, to support the Just Like Mom and Dad TV series, the Just Like Mom and Dad Game allows families to play challenges with each other, share successes and continue to bond with and learn about each other every day! As families watch Just Like Mom and Dad on television and see the trivia questions, they can check out the app and be asked the same questions about one another, plus new questions. Whether you’re on the go or sitting in the same room, you can play Just Like Mom and Dad anywhere, with anyone!